DSC_0087, originally uploaded by The Cay. 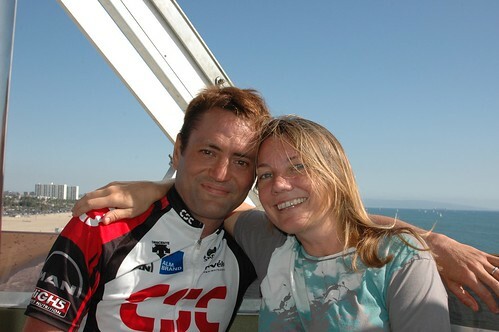 Above is Cay and I on the new Santa Monica Pier Ferris Wheel. Photo by DJ Marcel Cacdac on Cay's Flickr site. This page contains a single entry by Nigel published on September 22, 2008 5:13 PM. Backwards compatibility test with Blog It FB App was the previous entry in this blog. Chill is the next entry in this blog.